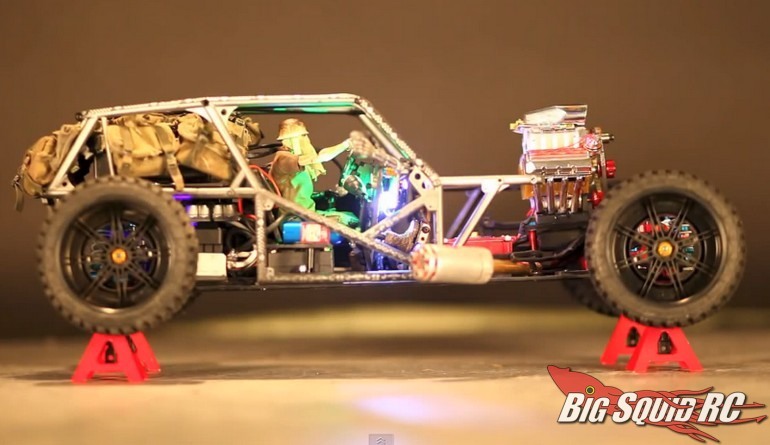 Video – Ghetto Wraith Rod with Sense ESS Engine Sound System « Big Squid RC – RC Car and Truck News, Reviews, Videos, and More! You’ve probably already seen pictures of Danny Huynh’s unique rat/skeleton creations on various social media sites, but now he has released a video featuring the Sense ESS Engine Sound System. The video below not only shows how well the Sense engine sound module works, but also just how cool Danny’s Ghetto Wraith Rod is. Click Right Here to watch more videos on BigSquidRC.